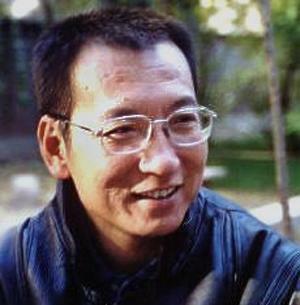 Only a few weeks after being diagnosed with a late-stage liver cancer in late May 2017, the world learned that China’s most prominent dissident, Liu Xiaobo, died at 61 in a hospital in the north-east region of China, where he was born. As the poetess Tang Danhong wrote, he departed as “an innocent prisoner into the eternal light” (无罪的囚徒，融入永恒的光芒). What a tragedy for a man who fought most of his life for freedom to live out his last days in a hospital bed under lock and key. While I never had the chance to meet Liu in person, I feel like I’ve lost someone very close to me, as if his death has torn away a part of myself. While he was behind bars in Jinzhou prison, I was trying my best to better understand what his human rights struggle was all about and to imagine his thoughts on what happened in China and around the world during the last eight years he spent in prison. More recently, as I was anticipating his release in June 2020, aged 64, I even indulged in imagining his surprise at seeing a young Frenchman coming from nowhere brandishing a newly written book about him. There was so much I wanted to discuss with him, and I regret that I will never have the chance. Words can hardly express the emotion and disgust I feel at this cruelty and injustice. I remain lucky to have known Liu through his writings and his friends – I will struggle to come to terms with his departure, but I take comfort in imagining how many people are now mourning his loss around the world. As a student who fell in love with China in the early 2000s and devoured hundreds of books and articles on China to quench my curiosity and satiate the hunger of my ignorance, reading Liu’s critical analyses of Chinese politics and society was hugely enlightening. His works compelled me to question my assumptions and unlearn many of the false narratives that I took for granted about Chinese culture and history. It was thanks to him that I so enjoyed learning the Chinese language – unlike the heavy, wooden register of Chinese officialdom, the language Liu used felt natural and his arguments more intuitive, especially when it came to our shared human condition and aspiration for universal values. The moral maturity and dignity of his work also made me more aware of how we ought to live and act in everyday life, of the importance of listening to our conscience and rejecting lies. In particular, Liu highlighted the need to unlearn the “enemy mentality” (敌人意识) that the Chinese party-state relentlessly instils with its constant propaganda about “hostile forces” trying to “split China” or “spread chaos” – a false worldview meant to justify the regime’s oppression. In talking to Liu’s friends, I also learned about his integrity and authenticity as a person and about all the solidarity initiatives that he organised to call for the release of persecuted fellow citizens despite the risks of retaliation from China’s unpredictable party-state. At his trial in December 2009, Liu reaffirmed with calm and eloquence what he stood for 20 years earlier during the democracy protests at Tiananmen Square: “I have no enemy, no hatred” (没有敌人，没有仇恨). And yet, the regime went on treating him like a top enemy of the state, sentencing him on a trumped-up charge to 11 years in prison and ruthlessly detaining his wife, Liu Xia, while also sentencing her brother, Liu Hui, to 11 years in prison on another trumped-up charge. For three decades, Liu persistently fought for a freer China, throwing himself into a human rights struggle in which he and Liu Xia suffer and sacrifice their freedom for the freedom of others. Viewed from afar, it may be hard to comprehend how a frail human being like Liu who only used his pen to write articles and collect signatures for open letters could attract so much cruelty from the Chinese regime – a regime on which the West now depends to lead the fight against global warming and promote global free trade. The spectacle of Liu’s last days are testament to the cruelty of the Chinese regime. But although grief and anger at Liu’s fate might make us hate that government, I hope we will never forget his message about the importance of not giving in to hatred. An enemy mentality poisons hearts and minds. This is a universal message – one that very much applies in a Western world increasingly blighted by xenophobia. The world has lost a precious mind, but we can still ensure through our words and actions that his “enduring spirit of freedom” won’t die with him. Considering how much effort the Chinese regime still puts into erasing his legacy and silencing his wife, it’s now time to take urgent action to make sure that his wife and her brother can finally move around freely. Now more than ever, the international community must shout their indignation against the Orwellian brutality of Xi Jinping’s government. It must show its full support with all China’s innocent prisoners of conscience and their families and try to make sure they will one day be free to love and support each other without being driven into exile by fear and suffering. This would be the most concrete way of ensuring that however cruel his final years, Liu’s efforts to build China’s democratic future were not in vain.